In Central Louisiana, more people are choosing to ride motorcycles as their daily mode of transportation. Although motorcycles have their benefits and are fun to ride, they also can be dangerous. Primarily, because car and truck drivers often fail to share the road with motorcycle riders. Drivers can overlook their blind spots, drive while distracted, or just fail to keep a proper lookout. Although riders should always proceed cautiously, many circumstances are simply beyond their control. 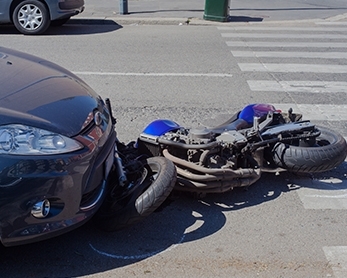 Motorcyclists are often unfairly stereotyped as fast and reckless drivers, but the truth is that most motorcycle wrecks are caused by negligent automobile drivers. Being involved in a motorcycle accident is also potentially more dangerous than being involved in another type of accident. The injuries resulting from an accident, even at low speeds, can be disastrous for the motorcycle rider. Those involved in motorcycle accidents often suffer more severe injuries, including head trauma and broken bones. There is often significant physical pain, emotional grief, and financial strain. Because of the risks associated with riding a motorcycle, anyone involved in a motorcycle accident should consult with a personal injury attorney. If you were injured in a motorcycle accident in Central Louisiana call or contact us immediately for a free consultation at 318-443-7615 or SUBMIT A SHORT AND SIMPLE CASE FORM HERE!